The giant distillery map featured in the recent hit BBC documentary, Scotch! The Story of Whisky, is to be auctioned for charity. The map, which is made from corrugated iron and whisky cask staves, marks the location of every operational distillery in Scotland with a small light bulb, and is the only one of its kind. 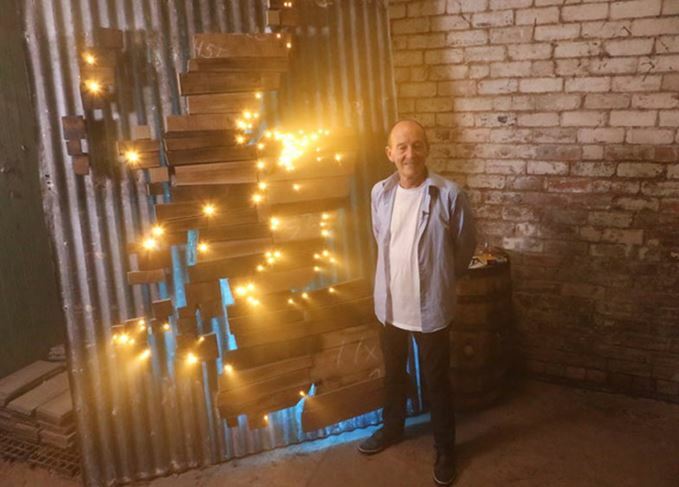 As series presenter David Hayman says in the programme, which aired over three weeks in October, ‘each twinkle is where the alchemy happens, and whisky is born’. It can be connected to a computer with a lighting desk software application, allowing the owner to light up distilleries by region, or even by ownership. A full technical spec will be provided for interested bidders. The map measures 2.4m x 1.8m, and in Coutts’ words ‘is very heavy’. Move On Up Productions, the company behind the making of the documentary, will donate all proceeds from the sale to Spirit Aid, the humanitarian relief organisation dedicated to alleviating the suffering of children and young people whose lives have been devastated by war, poverty, lack of opportunity or humanitarian crisis. It was founded by series presenter Hayman in 2001. The map would be perfect for a whisky bar, distillery visitor centre, whisky event or location that educates about Scotch in a generic fashion. Those lucky enough to have a large whisky cave might also consider applying. All serious bids should be emailed to [email protected], along with the bidder’s contact details. Only the highest, winning bidder will be contacted. The whisky map featured in BBC documentary Scotch! The Story of Whisky has been sold at auction.